So Santa hooked me up this year! Well, to be more specific, my husband did. Yes, folks, I am typing this blog on my brand new MacBook Pro laptop! Jealous? I even got loaded up with all the software a girl could want—from Microsoft Office to the entire line of Adobe products (Photoshop, Illustrator, InDesign) to Scrivener’s novel-formatting program (still working on learning this one). It’s a very apple new year! Now, let me start off by saying we had a $100 limit on gifts this year. Yeah. That would be ten dollars times ten. That’s it. You see, we bought a new house, lots of new furniture, have plenty of new expenses on the way, so we thought we’d be conservative. Save a little cash, you know. Clearly, that didn’t happen. But don’t think I didn’t confirm this before I shopped. Me: “We’re just spending $100, right?” Husband: “Yeah, totally.” I believed him! Well, I expected he’d go over a little bit, maybe even double it, but I didn’t expect the limit to be increased by multiples of ten. So while I go out and buy my dear hubby a very nice Dewalt cordless drill with an LED light (don’t ask me, he wanted it), and a fun DVD, and a cool T-shirt, thinking I’m being all sneaky by “going over the limit,” he’s at the Apple store spending our limit on just the One-to-One training alone. 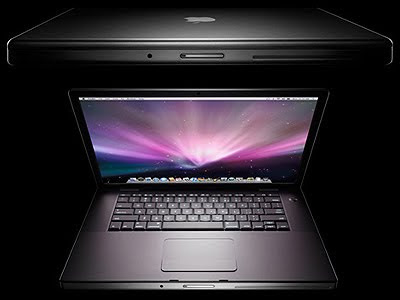 But I’m not going to complain, because I have a fancy silver new laptop. (It’s so pretty!) And now I have to learn how to use it. You see, dear readers, up until this point, I’ve been a PC girl. Of course, the PC laptop I was using prior to this was older than most of my nephews, but hey, it worked. I knew all the key commands, all the right clicking features, all the navigation tricks. Now, I’m starting over. I do have some history with the Apple brand, though. Back when I was a reporter, I had a teal green iMac at work (not meant for office use, the thing crashed 3 times a day). And in college, BU’s computer labs had pretty orange and blue iMacs. But that is where my Apple knowledge stops—circa the year 2000. This thing is like a space shuttle in comparison. So thank goodness my husband did spend the money on the One-to-One training, because I’m gonna need it. I hope the poor Apple guy who tutors me this Friday is very patient. 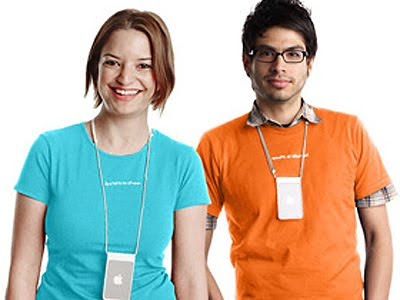 Did you ever notice how all the Apple store employees sort of look alike, as if they’re related or something? It’s like Apple cut and pasted them into the stores from stock imagery. So bear with me if the blogging is slow because I will be trying to figure out things like: Why do all the fonts on this computer look so darn small? Because I swear Times New Roman 12 pt isn’t this tiny on my PC. And why does the screen dim when I’m not in front of a lamp? Shouldn’t it get brighter when it’s darker? And what’s with this Safari Internet browser? Should I stick with it or go back to Mozilla? I suspect 2011 is going to have a steep learning curve. It’s like I’m back in school again. Okay, so after they play the fourth quarter of their lives, creating a game so iconic it will probably be remembered for decades to come (“The New Miracle at the New Meadowlands”), they go and stink up the field last night. This comes after the game gets canceled because of snow. Ahhh, poor babies. Didn’t want to get their noses chilly. Even our own governor called us a nation of “wusses” for canceling that one. (Though in all fairness it was the NFL who canceled it, not the Eagles.) But still, with a couple extra days of rest and a first round bye on the line, you’d expect a better showing than what we got. I guess since we clinched the division already, maybe the Eagles should use next week as their “bye” and sit the starters. Vick looked like he could use it as he limped off the field last night.